So after much talk, speculation, and weeks of anticipation the Super Eights are finally here and ready to rock. And the tie of the weekend pits Kevin Walsh's Galway squad against Eamon Fitzmaurice's Kerry outfit this Sunday (4pm ) in Croke Park. Galway are Connacht champions and Kerry are Munster champs, and it is a slight flaw in the system that the two provincial champions in the group face each other in the first round. There should be an incentive for the provincial winners, and they should not be drawn against each other in the first round. However, the die is cast now, and the Galway players will be looking to produce a big performance to defeat the Munster men who notched 3-50 in their two opening championship games, albeit against weak enough opposition. Cork's heavy defeat against Tyrone last weekend prompts questions about how good Kerry had to be to beat them in the Munster final. Kevin Walsh is in his fourth year in charge of Galway and in that time the Killanin man has searched the county to produce his current squad. Any players who have caught the eye at club level have been given a shot at inter-county senior football, and Walsh and his management team have tried out 57 players in either the FBD league, NFL or championship in the past few years to try to get the right mix. Twenty players have enjoyed their first championship start during his tenure. Most of Sunday's team - players such as Ian Burke, Seán Andy O Ceallaigh, Sean Kelly, Ruairí Lavelle, Eoghan Kerin, Johnny Heaney, Eamonn Brannigan, Peter Cooke and Declan Kyne - have all been given their first maroon championship jersey by Walsh, and they will be targeting what would be a massive championship victory, and a superb start to the round robin series over the 2014 All-Ireland champions. Galway enjoyed a positive league campaign, including a win away to Kerry. Now on the back of three wins in Connacht over Mayo, Sligo and Roscommon, the mood in the camp is positive. Apart from Annaghdown's Ciarán Duggan, and a few other annoying niggles, the management team has a full hand from which to select, and there will be a few tough decisions to be made this week in naming the starting 15. Kerry defeated Galway easily last season in the All-Ireland quarter-final on a score-line of 1-18 to 0-13, but Galway have a good few new personnel this year, and they seem to be a more robust, consistent and settled team. 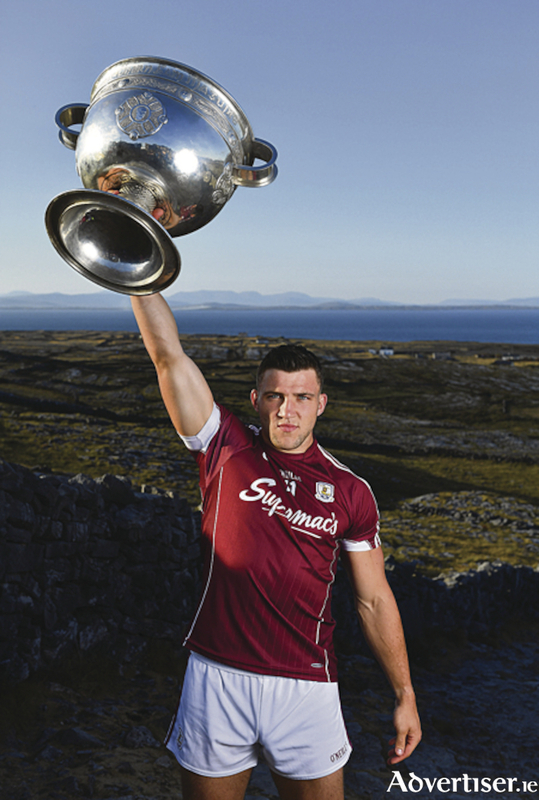 The travelling Galway supporters will be expecting their team to stand up to Kerry, take the fight to them. and be more assertive, ambitious and aggressive than they were last year. Youngsters such as Seán Kelly, Seán Andy ó Ceallaigh and Ruairí Lavelle have added a good bit of sparkle and confidence this season, and with Damien Comer, Burke, Heaney, Branngian and Shane Walsh capable of ripping up any defence, Galway are capable of producing what would be seen as a shock result. The main thing for that to happen is that the team, and especially from midfield up, cut down on their unforced errors. When they make the right pass, at the right time and take the correct option as they did in the second half versus Roscommon, as opposed to the first half and they are a different team. The money men have Galway as 3/1 outsiders with the Kerry men at 4/11, and with Paul Geaney, David Moran, James O'Donoghue and massively rated youngsters David Clifford and Seán O' Shea in their ranks, it is understandable to see why many people fancy them to get a win. Galway manager Kevin Walsh takes a pragmatic view of Sunday's clash. "We have a year of division one football behind us, which is a help, although all the other teams are highly experienced too, and most of them are regulars in the top flight," he says. "The players are aiming to produce a really hard working, consistent and productive 75 minutes of football. Things will go for you and against you in any game, and it is how you respond to them that matters. "Sunday is the start of a mini-league, and a team could qualify for the All-Ireland semi-finals with six points or with two points, which is why scoring averages could be a big factor too. "All the teams in our group are high quality and we will be targeting big performances in all our three games. The mood is very positive in our camp, and we are going to Dublin to try to produce a really high quality and consistent display, and we will see where that takes us."